Dress your maids in the Scarlett Bridesmaid dress, the epitome of feminine elegance and style. The simplicity of the Scarlett style also makes it the perfect formal dress for a classic style. 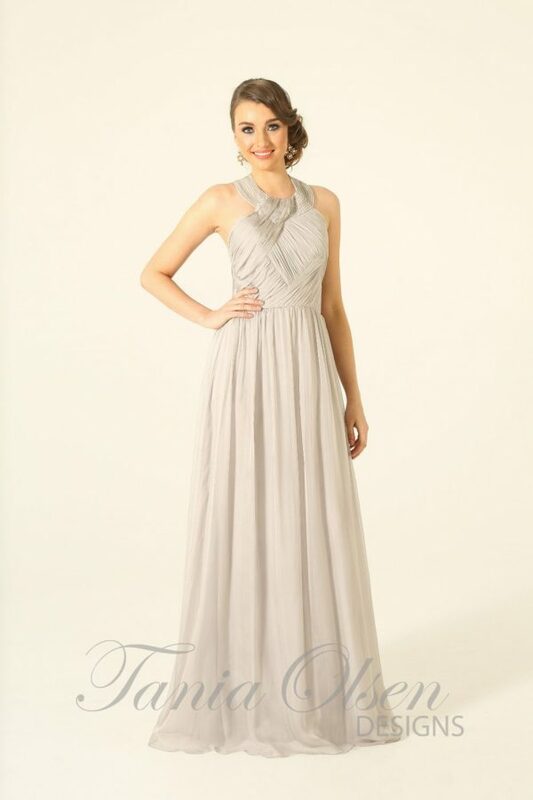 The Scarlett Bridesmaid Dress features a sweetheart neckline with a delicate ruffle sleeve. Structured in a medium weight crepe fabric, giving the circular skirt a flattering drape falling to the floor. 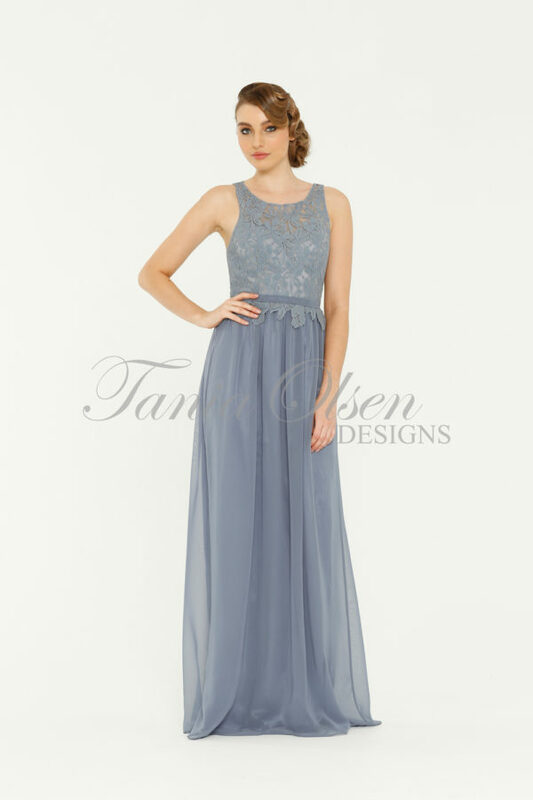 The dress is fully lined with a structured under bodice giving this stunning evening dress a supported fit. This silhouette is suited to most body shapes.